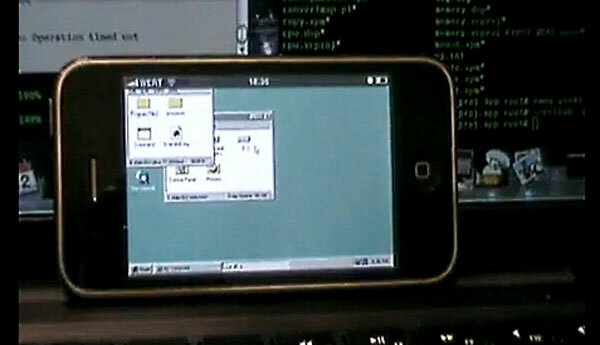 If you fancy radically changing the OS on your iPhone you can now consider loading Windows 95 onto it. However you will need the jail broken iPhone and a little technical know-how as this app isn’t available to download from Apple. Check out the video by the iSoft team after the break. The hack uses a standard copy of Windows 95 and the Bochs emulator. As you may expect the performance is not great but they are looking to develop a hack for Windows XP which I’m sure will do wonders for the performance.